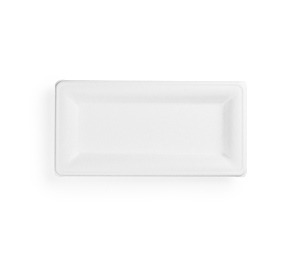 Meet our rectangular bagasse plate – the ideal size for a side salad or light bite. Sturdy, stylish and good for hot or cold food, they’re microwave and freezer safe. Far more sturdy than paper plates, and 99% less carbon than polystyrene too.